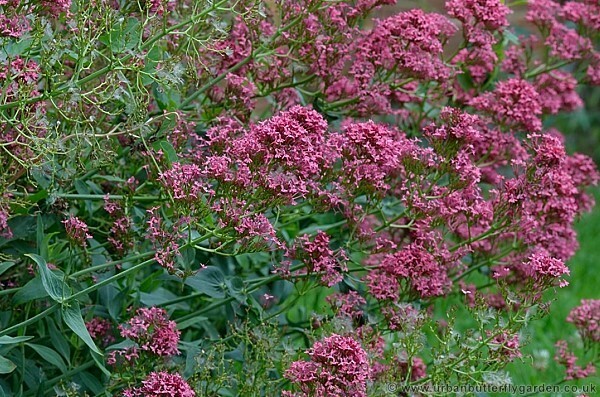 Red Valerian is a true Perennial of dry hot sunny sites. 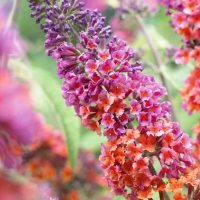 Originating and native to the Mediterranean regions it has naturalised in Britain after escaping the confines of the garden become a locally common wildflower in southern Britain. 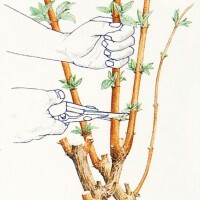 Flowering from June through to August the long branching heads of clustered small ornate flowers are mostly crimson coloured or on occasions White. The leaves are oval shaped in opposite pairs grey green. 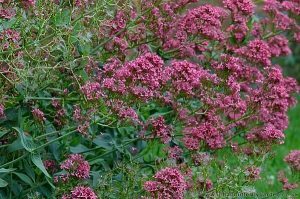 Red Valerian introduced itself to the garden around 5/6 years ago it has managed to grow along in poorest driest soil right against sunniest the wall of my house along with a few Penstenum, as yet it has never spread from this first spot. Would I get rid, not a chance!